The recent trend toward developing a new generation of robots that shall participate in our lives and exist in human environments has introduced the need for formulating proper paradigms of interaction between people and robots. For instance, new applications for robots in health, education, entertainment, the home, and work environments require them to collaborate with people as capable partners. Such robots must have human-oriented interaction skills and capabilities to work with us as teammates, learn from us or teach us, as well as communicate with and understand us. The goals of the interaction between people and robots might potentially span physical, cognitive, task-based, social, or emotional dimensions. 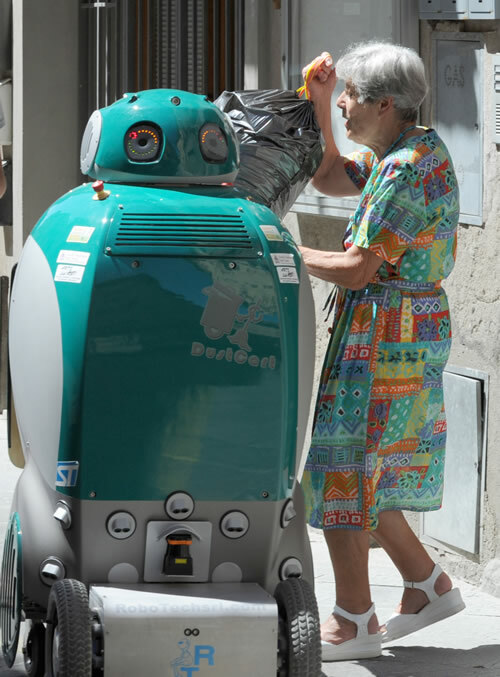 Given this, human-robot interaction broadly poses multi-faceted issues requiring not only technical but also cultural, sociological, psychological, philosophical and even ethical considerations. The IEEE-RAS Technical Committee on Human-Robot Interaction and Coordination aims at providing a framework for discussion for the variety of issues related to the development of robots intended to interact with human beings. According to the indications provided by the IEEE-RAS Long Range Planning Committee, final aim of the TC is to contribute to make the IEEE-RAS more attractive to industry and other scientific societies, by identifying cutting-edge themes to be discussed and focused by research. The TC is also proposed as an interface towards the needs of industry and Society, so a special care is taken in identifying the topics of interest so as to fit such needs. In fact, the TC objectives are to organize Special Issues in major scientific journals, as well as Special Sessions and Workshops at the main IEEE-RAS Conferences, on the identified themes. Nevertheless, in the aim of attracting other scientific societies, Special Sessions and Workshops at, or in conjunction with, other conferences are also pursued.